We started working for Mike Genoun this past summer. If you don’t know who Mike is, he is the Editor at a little magazine called “Florida Sport Fishing Magazine”. Nike wanted some custom Hoo-rag fishing bandanas to give to loyal subscribers, fans at boat shows, events, and for social media give-aways. He printed an initial run just before icast this last summer and we had a super tight deadline. We told him we would do our best to make it happen. Well, if you know Mike, than you know the definition of tenacious. We were able to make the delivery and now Mike was just delivered another order of his custom Florida Sport Fishing Mag bandanas. 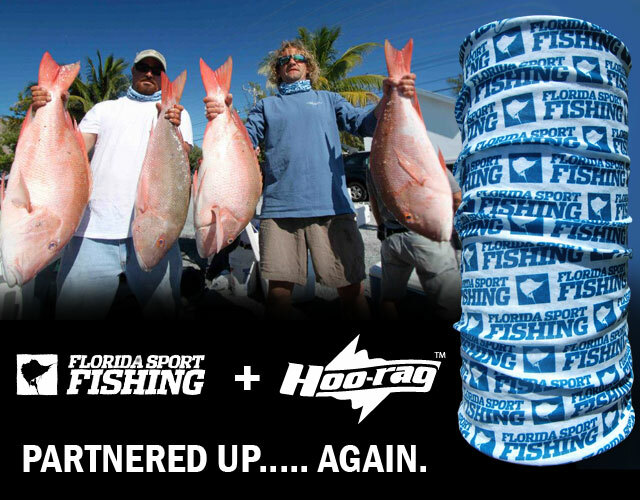 We want to thank Mike and the staff as Florida Sport Fishing Magazine. We hope you keep rocking the rag!